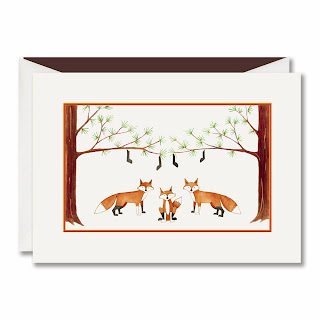 Bucolic and bright, the scene on this greeting card brings a touch of whimsy to your holiday season. 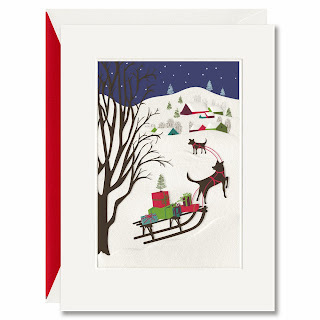 Sled dogs pull brightly colored loot, surely to recipients most deserving. 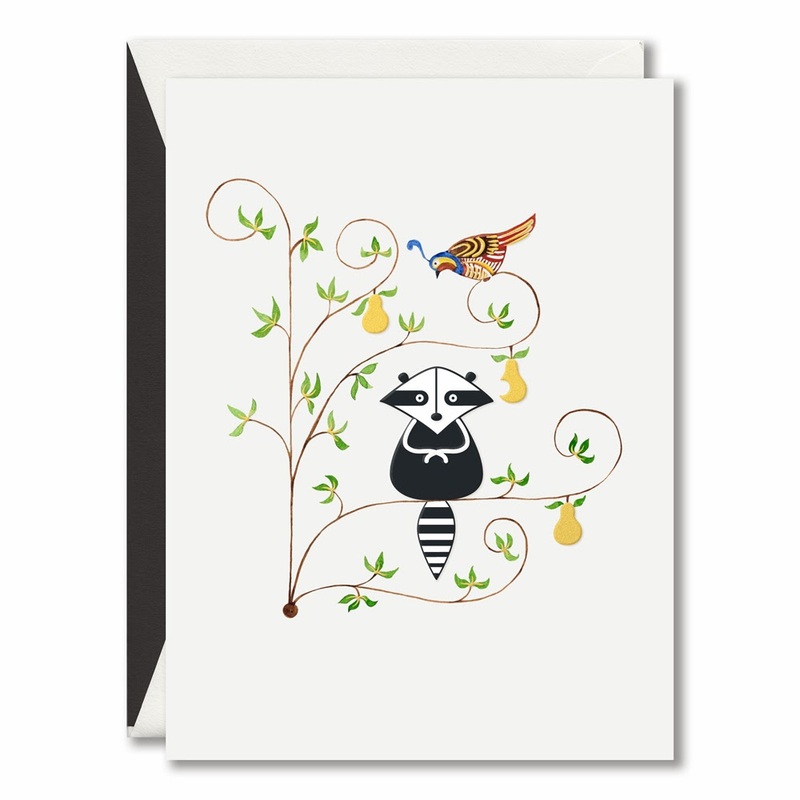 The notable partridge receives a visitor to his pear tree. Perfectly perched is a woodland raccoon, who takes center stage on this holiday greeting. 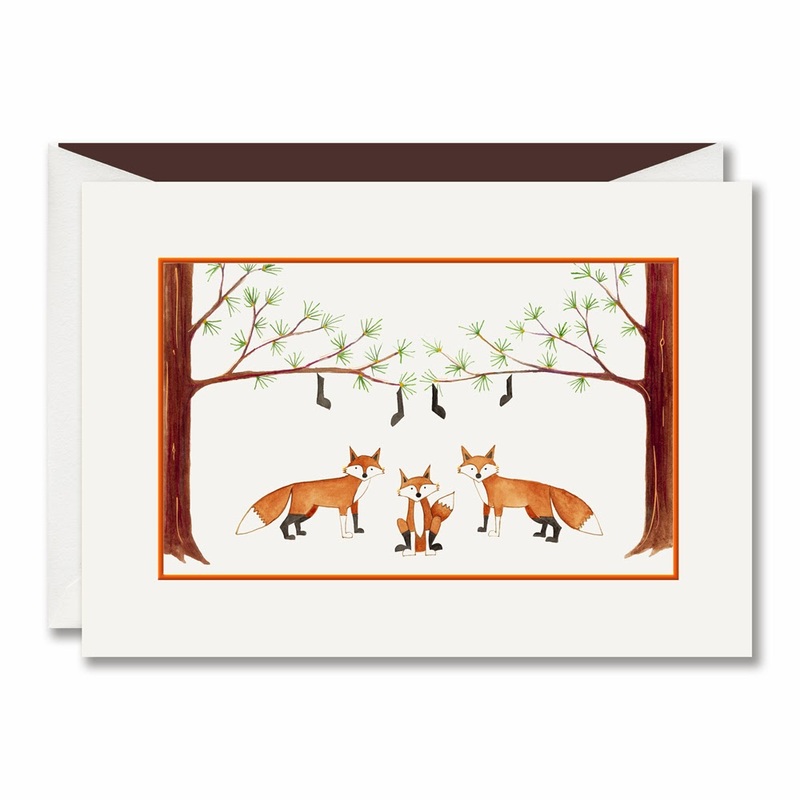 Should one find them above the mantel or, in the case of this holiday greeting card, on the paws of some festive foxes, stockings this time of year mean cozy mornings by the fire with friends and family. 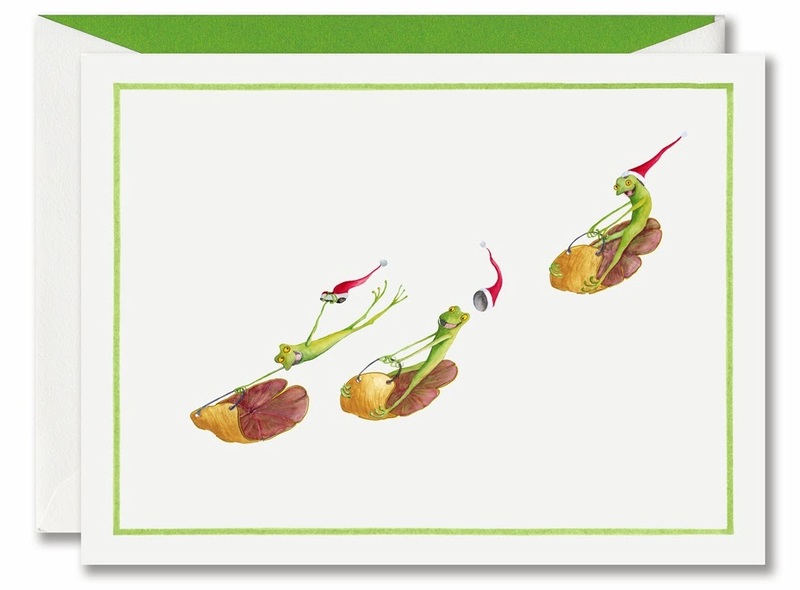 Participating in their own version of sledding fun, the three frogs that grace this holiday greeting card are ready for the season, inspiring the idea that it’s the little things that make this time of year so special. 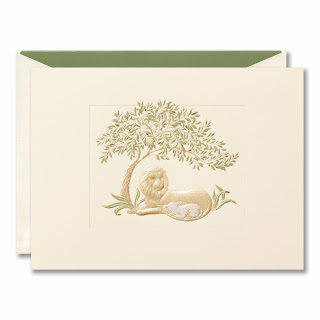 illustrated sentiment on this holiday note that features a sweetly slumbering lion and lamb. 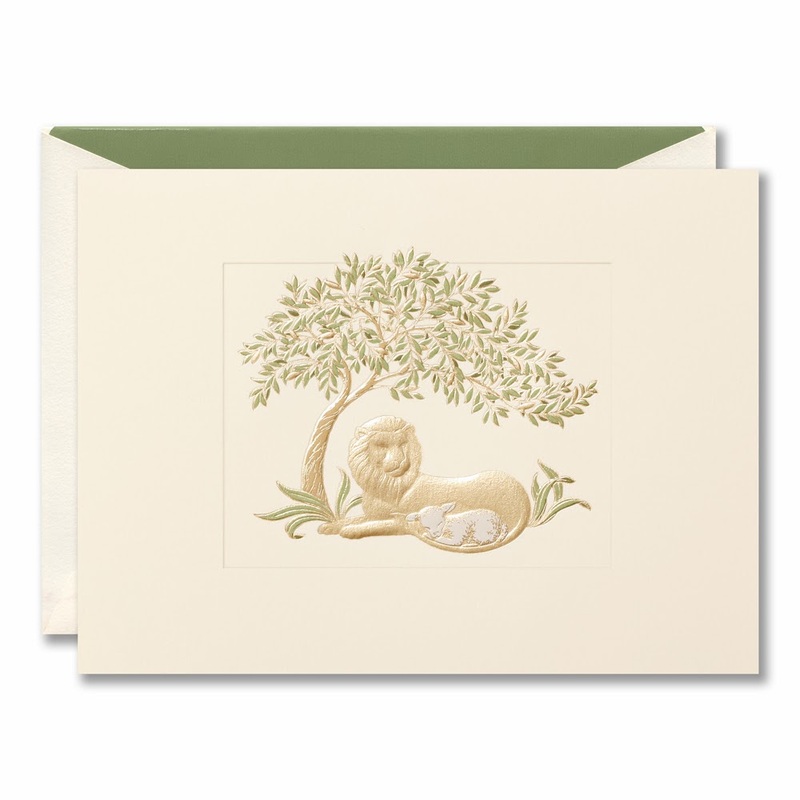 Presented in soft, muted color palette, it is a note that will surely inspire kindness and love this holiday season. 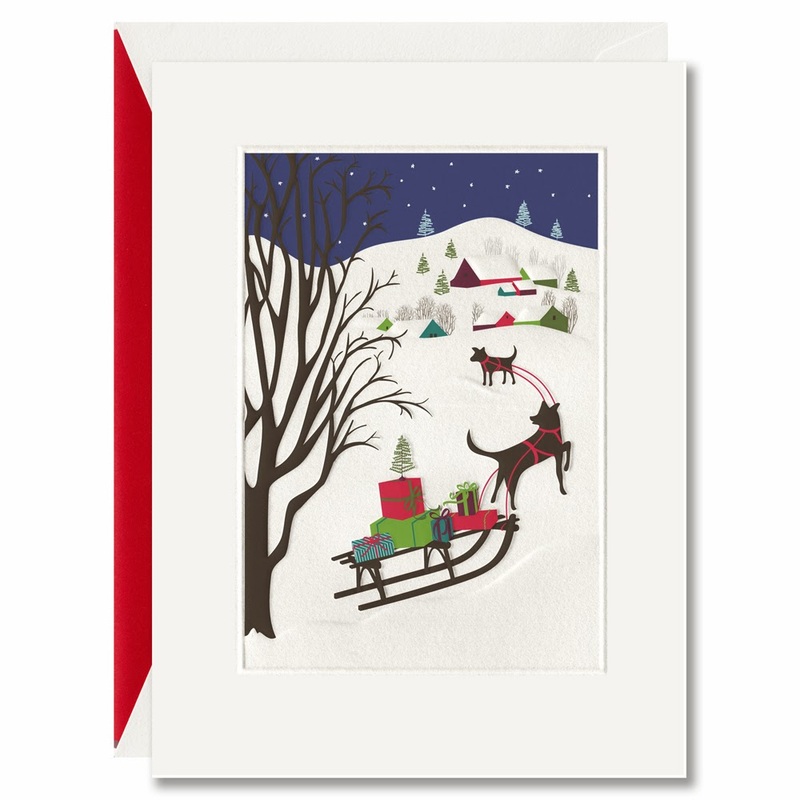 Looking for more boxed holiday card options? Peruse our entire collection.